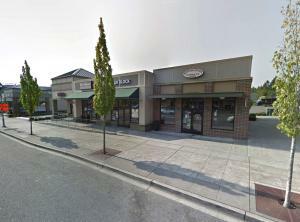 DUPONT, WASHINGTON, UNITED STATES, August 28, 2018 /EINPresswire.com/ -- Through his company, Elite Property Investments, LLC, Andrew Cratsenberg acquired the commercial retail building located at DuPont Station, 1540 Wilmington Drive, DuPont for a purchase price of $1,100,000. 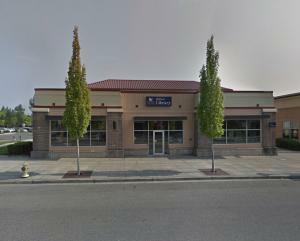 Elite Property Investments, LLC is a Washington state corporation and paid cash for the Wilmington Drive site. The DuPont Pierce County Library currently leases the property. The library, part of the wider Pierce County Library System1, is a long-term tenant, having been based at the site since 2004. The Pierce County Library System also has libraries situated in Anderson Island, Bonney Lake, Buckley, Eatonville, Fife, Gig Harbor, Graham, Lakewood, Milton, Orting, and Parkland. A further five Pierce County Library System locations can be found in South Hill, Steilacoom, Summit, Sumner, and Tillicum. A stand-alone building, 1540 Wilmington Drive, DuPont covers over 3,600 square feet and offers prime commercial retail space. "The building is at the corner of Wilmington and McDonald Avenue, north of Center Drive," explains Cratsenberg. Andrew Cratsenberg Jr. further goes on to point out that this puts the property in the very heart of downtown DuPont. "It's a highly desirable spot," he suggests. Nearby buildings to 1540 Wilmington Drive are occupied by brands such as McDonald's, Pizza Hut, and Starbucks, as well as McNamara's Pub and Eatery, Farrelli's Pizza, Super Buffet, and DuPont General Store. "It's one of a number of properties which I've acquired in the immediate vicinity," reveals Cratsenberg. One other such property is a neighboring commercial retail building located at 1575 Wilmington Drive, DuPont which Elite Property Investments, LLC acquired for $920,000. The site is currently occupied and is being leased by four separate tenants. These are Nail Spa, Fortune Cookie Restaurant, Pure Elegance Hair Salon, and H&R Block. The city of DuPont is located just 10 miles from the Washington state capital of Olympia. A fast-growing, Weyerhaeuser-planned community, DuPont has seen rapid growth in recent years. "Since 2005, the population of DuPont has almost doubled," Cratsenberg explains. As a result, both commercial and residential properties in the area have seen huge increases in value. "DuPont is also located within close proximity to Joint Base Lewis–McChord," points out Elite Property Investments, LLC's Andrew Cratsenberg, in closing, "which is one of the biggest military installations in the United States."